It was a French heads-up, and it ended in spectacular fashion, worthy of a great tournament. Urbonas doubled up twice against Erik Ostergaard but eventually lost all his chips to the Dane, who was suddenly for the first time the chipleader. Julien Stropoli cashes €141,500 which is by far the biggest cash of his career. He let out a primal scream when it was done and he couldn’t wait to get his hands on the trophy even before the ceremony began. And so ends the Battle of Malta 2018. It’s been another week full of broken records, but most importantly it was an amazing event with thousands of player who loved the experience. And we did, too. 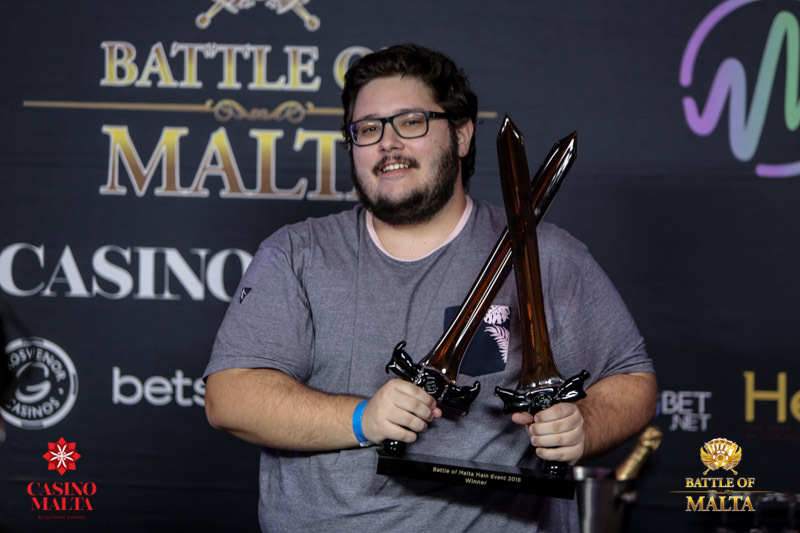 If you’d like to read a recap of all the days at the Battle of Malta 2018, we have exactly that prepared for you.